You are here: Home / Product Reviews / Holiday Gift Guide / Forget Tangled Christmas Lights this Year with Tree Dazzler Christmas Tree Lights! 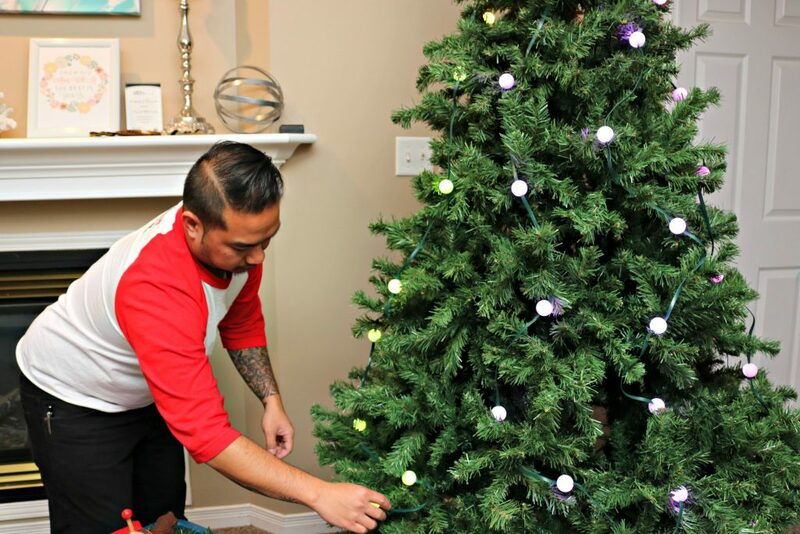 Forget Tangled Christmas Lights this Year with Tree Dazzler Christmas Tree Lights! The Tree Dazzler Christmas Lights. Christmas is our absolute favorite holiday and one of the best parts of the season is preparing and decorating our home. For us, trimming the tree is a yearly family tradition that we absolutely love. One thing that carel=”nofollow”n be frustrating is the tangled web of Christmas lights to untangle every year. 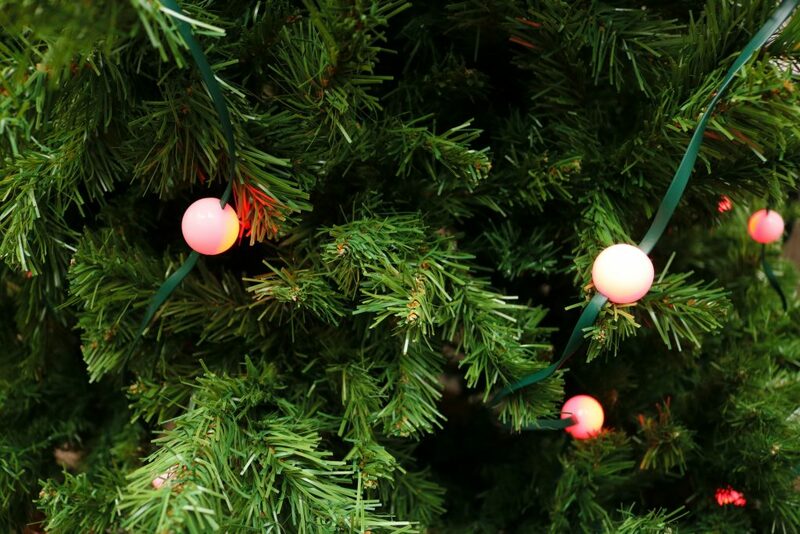 This year, we found a Christmas lights solution–the Tree Dazzler! Over the years, we have changed our Christmas tree theme quite a few times. That means we have several different sets of lights and ornaments in different colours stored away. Which also means we are using up a lot of storage space to store it all! Over 15 lighting styles – solid, flashing, sparkle, waves and more! Recommended for trees 6 – 7.5 ft. I know you may be reading this and giving me a virtual, “Really?” look but, we installed the lights all over the tree from the box to tree in less than 30 seconds. Yes, less than 30 seconds. It’s quite simple, since the lights are hung from a ring, you place the ring at the tip of the tree and the lights will fall and cascade vertically. All you have to do is adjust them according to how you want them and you’re good to go. A Show at the Touch of a Button! Once you have arranged your lights the way you want them, with the touch of a button, you can have your very own light show. There are over 15 settings to choose from. 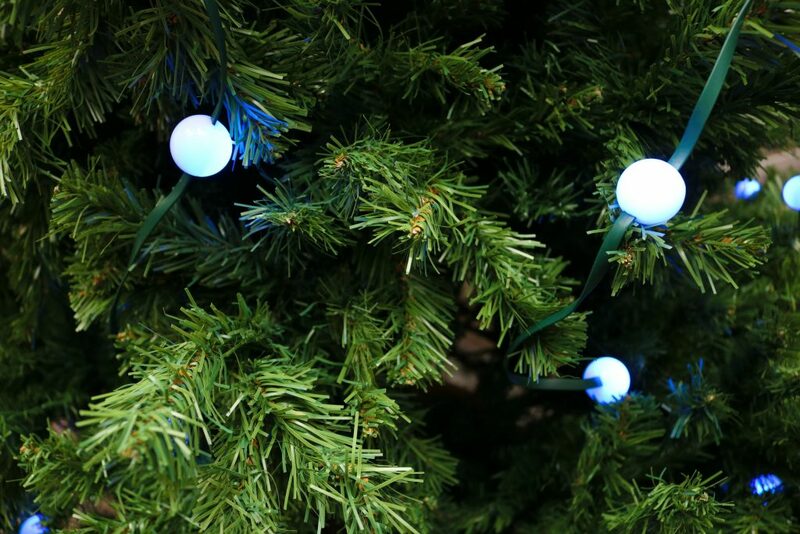 You can choose solid lights in your desired color, sparkling or choose the show setting and the lights will pulse and diagonally wave throughout the entire tree. It’s perfect for whatever type of mood you want to set and it eliminates the need to have to unravel lights each year. Especially if you want to change the color of the lights every year. 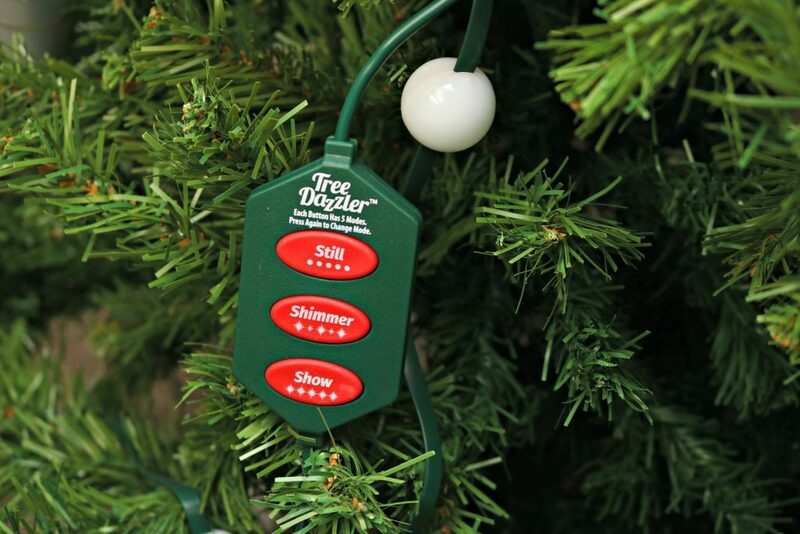 With the Tree Dazzler, you can change it any time during the holiday season. I was actually pretty shocked at how easy it was to bring a tree to life and how bright and vibrant the lights are. During the day when the tree lights are not on, they make cute adornments on the tree, too. I also love that they can grow with your changing taste in decor over the years. 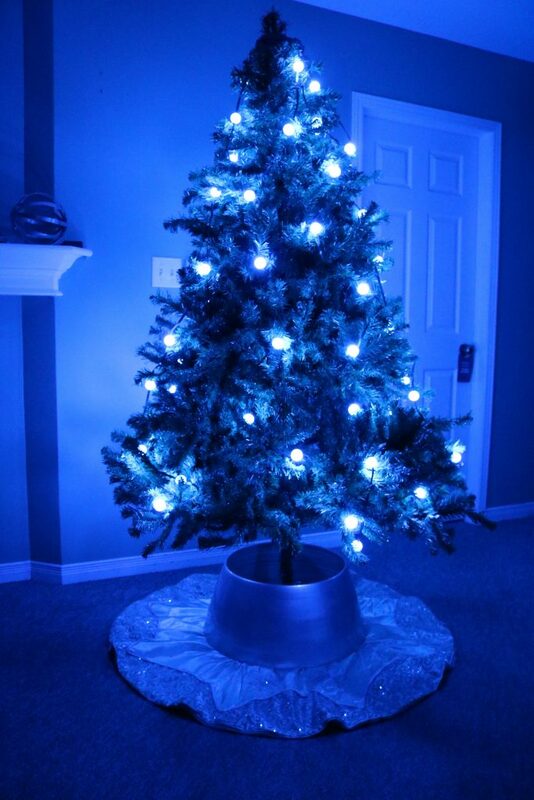 This year we chose to stick to an all silver and white theme and we have alternated from blue to white lights. But, when friends are over–we will be using the show setting to get the party going! 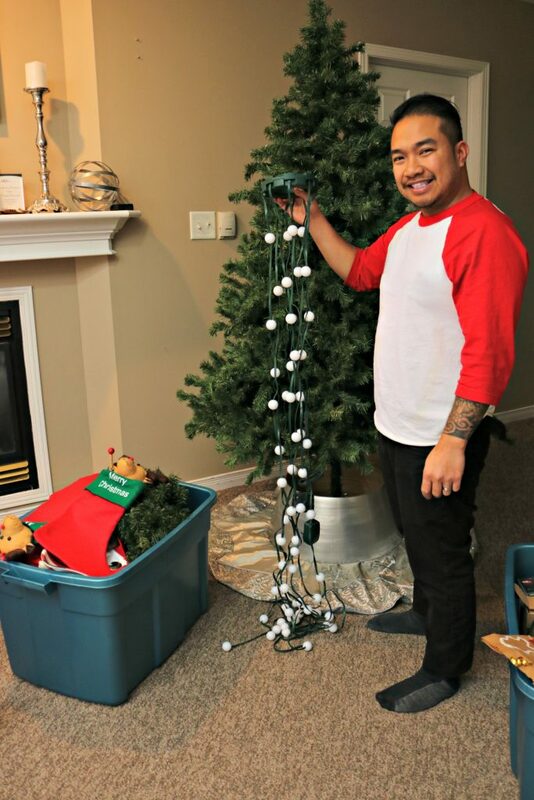 The Tree Dazzler has 64 strong and vibrant LED lights but, it is stackable and you can add even more lights to your tree if you wanted to. When I first saw the video, I’ll be honest, I kind of giggled but, it intrigued me. After testing it myself, I now know it really does what it says it does. The best part is you that you can say good-bye to tangled lights. I know that I have spent an unhealthy amount of time trying to get them untangled and when we finally get them up on the tree, they all die out because of ONE loose bulb. The Tree Dazzler is available at Showcase in-store and online for $59.99 + free shipping. A steal, if you ask me! Visit Showcase for more information about the Tree Dazzler and connect with them via Facebook, Twitter and Instagram. Do you struggle with your lights every year? This is seriously a genius idea. You have to try it! This is brilliant i totally love it.Thanks for the review ! 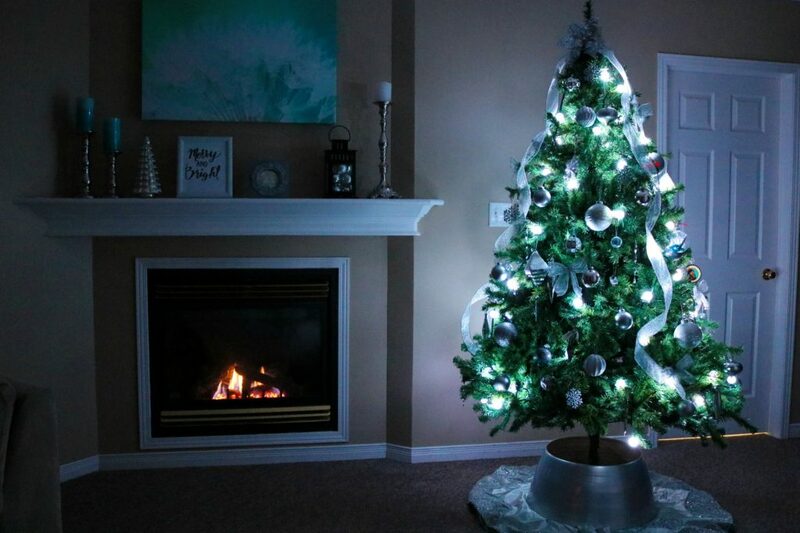 It really is a brilliant idea and it transforms your tree! I totally need this, I spend hours putting the lights on! Girl, these would take you less than 30 seconds. I love these lights! They are so gorgeous! They really are! We fell in love with how easy the are too. Ok now these are some pretty darn cool lights! I love the shape, size, and color they give off. I love the size too! I just saw this in the Christmas Tree Shoppe. My husband and I thought it would be perfect for outside too! 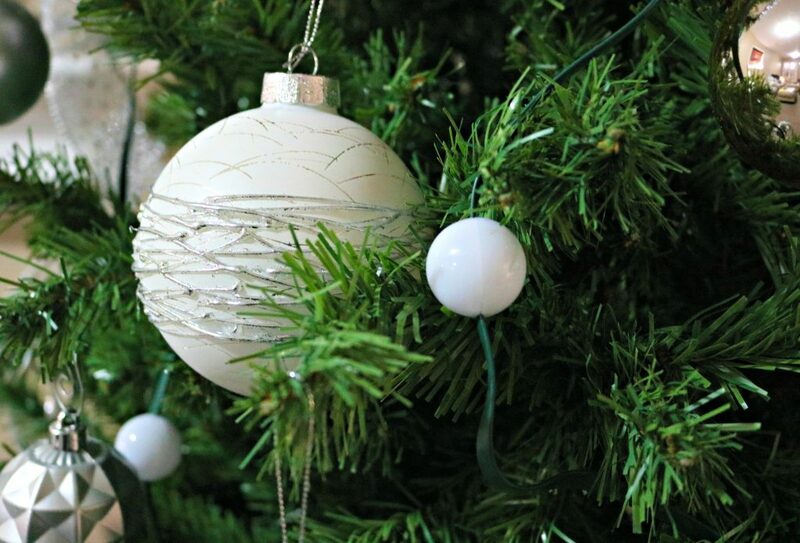 They are hassle-free for your indoor tree! I need to get some of these lights. I hate putting the lights on the tree. These look so pretty. They are so simple too and you can change them according to your decor. I am getting a new tree and lights this year. I will have to pick up some Tree Dazzler lights. I love that they have different effects. You will love the effects! I am excited to set up our tree this weekend. I just might have to pick up these fantastic lights. They would really transform the tree. They totally transform your tree! 🙂 It makes like less stressful. LOL. I like how easy it is to put on the tree. I also like that it has really big bulbs. Looks vintagey. Does it work on taller trees? This is so easy to do and it looks amazing! I will be ordering some lights on the weekend,these are beautiful ! It’s super easy and elegant to have! Wow,Nancy can you believe it’s time to unpack and put up those lights again! Where did the year go?